We at Amita Machines would like to take this opportunity to introduce our New MSA Series Netting Machines (the newly upgraded and reinforced version of NSB). Due to the level of success, we experienced in China, Korea, Taiwan, Thailand and the Philippines over the last decade since we introduced our Local Assembly option for our NSB 7-40, we have gained much confidence and received much praise from our customers(in the form of several repeat orders), regarding this service. As a result, we wish to extend this service, for the entire new MSA Series Line for Local Assembly ranging from 10.5-40S to the 18-25. for availability with a production volume guarantee (please refer to attached specs list). Our new line will range from 10.5mm pitch to 18mm pitch machines from the 10.5-40S model to the 18-25. This range will include 6 new MSA machine models. One of the special features of this service is geared for single-knot netting machines, especially designed for nylon multi-filament and PE twine. This is the first time that a service such as our Local Assembly has been available for such high speed machines that can run up to 24 RPM’s (MSA 10.5-40S) which separates us from our competitors. The new MSA model series can be equipped (with added cost) as an option, to make special custom knots which have already proven to be successful in the market. Independent computerized control of mesh size by Servo-Motor, can be equipped with all MSA models as an option. The new MSA Series are very high performance machines. MSA10.5S-40, 11-40, 14-30 and 18-25 run up to 24 rpm’s. The MSA Series is also capable of whole lot bobbin changing thus allowing for the reduction of bobbin changing time so the machines can run more quickly and efficiently. As a result from extensive discussions with net manufacturers, plant managers and machine operators the overall consensus was that smooth operation and lack of vibration was one of the most important elements in a netting machine. These discussions coupled with our vast knowledge of high-speed machines, our designers and the latest technology, we were able to re-design the NSB Model Series’ framework to be much stronger than the previous line.The newly designed frame drastically reduces the amount of vibrations and shaking during operation thus increasing smooth operation. 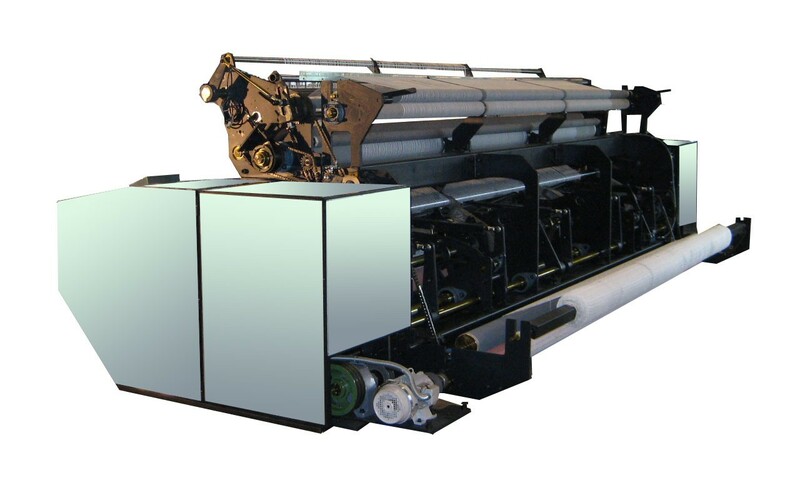 To remain leaders in the netting industry, we at Amita Machines are always striving to remain on the cutting edge of netting technology and design. As we embark into the 21st century we are looking to the future and the future needs of our customers. This is why we have designed the new MSA Series of netting machines. We have made improvements to the design to lower over cost and increase productivity. B-2 winder and creel stand shall be manufactured locally according to technical drawings from AMITA. Please refer to attached diagram (CASE STUDY) for your review. We continuously pursue the ideal of best technology and service, and seek to provide new value while unlocking the unlimited potential of net machine for customers. AMITA has been involved in the net making industry since 1817. Past Models are showed here. Copyright © AMITA All Rights Reserved.